Leaders of Eurozone countries are convening again to decide what to do with Greece after the controversial referendum held last Sunday which resulted in rejection of the already obsolete bailout program. While everyone claims they want Greece to stay in the Eurozone, the currency club is practically divided in two camps. The new member states plus Germany, The Netherlands, and Finland are not in a compliant mood. They are of the opinion Greece must carry through the reforms, suggested by the Troika, however painful they might be. In exchange, the Eurozone will open the faucet of lifesaving financial injections. France, Spain, and Italy are in the other camp, more open to discounts. The decisions to be made at the emergency summit of the Eurozone will be truly fateful, for any unfair deal will create conditions for the start of a torturous and painful disintegration of what European leaders describe as the biggest achievement of European integration – the Euro. A precedent is by all means possible – a state leaving the Eurozone. The deal must be fair to the countries that went through similar or even harder crises, for new members, like the Baltic states for example, worked very hard to overcome their own crises and at the same time join the common currency. Their reforms are an example that tolerates no contra-arguments, except poverty. Many analysts and politicians, mainly from the left part of the spectrum, try to explain that what Ireland, Portugal, and the Baltic states went through carries the price of extreme poverty with it. They fail however to point out an example of wealth, amassed with debt. And the data certainly shows otherwise. Ireland joins the EU in 1973. The gross domestic product per capita grows steadily over the years, starting from 6,366.10 US Dollars in 1980, according to World Bank data, and reaching 53,313.60 USD in 2014. Before the crisis the GDP per capita reached 61,218.60 USD (2007). As a result of the crisis though, in 2010 when the country started working on the bailout program of the Troika, this ratio had shrunk to 47,903.70. 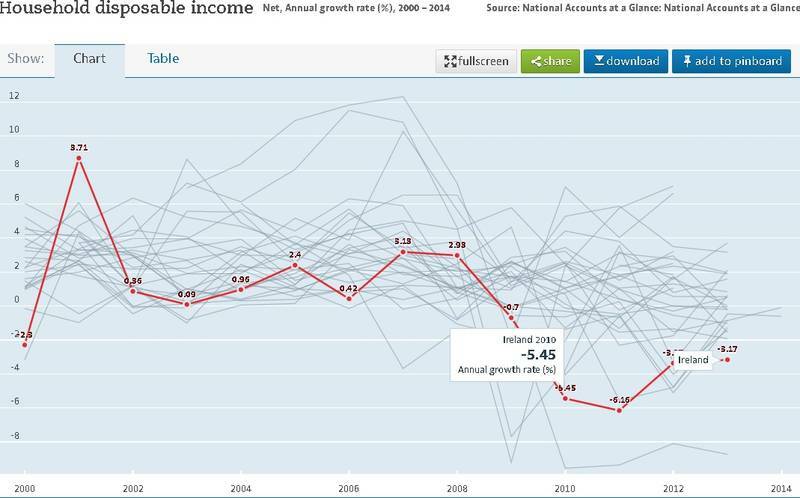 In the period 2009-2011 Ireland went into a recession. 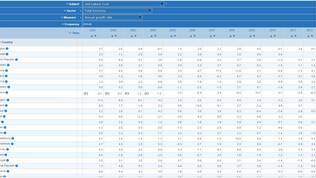 In 2009 the Irish economy shrunk by -6.4%, in 2010 by -7.4%, and in 2011 by -2.9%. 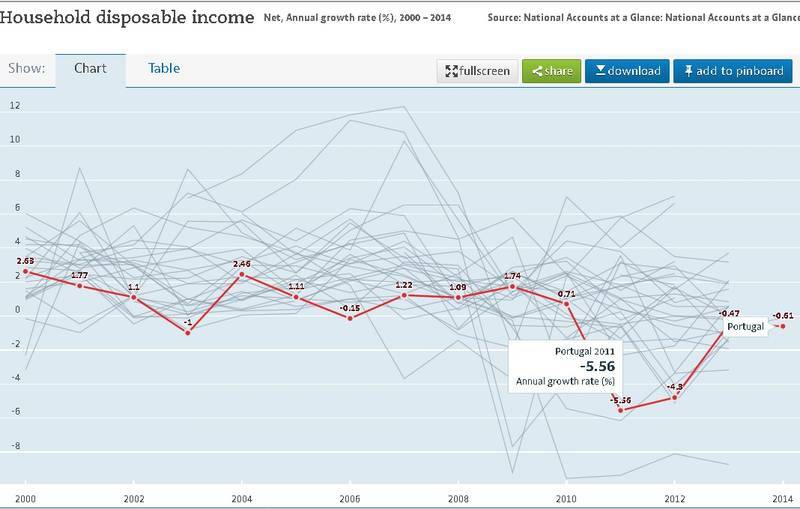 Disposable household income in Ireland drops dramatically in 2011 by -6.16%. At the moment Ireland shows the fastest economic growth in the EU, unemployment is dropping decisively, the country as a whole is recovering and is now capable of paying off its debt. The country freed itself of its bailout program at the end of 2013. Minister of Finance Michael Noonan is among the ones that sympathises with Greece, but is not keen on concessions. Portugal joins the EU in 1986. Ever since the Portuguese GDP per capita has grown considerably, starting from 2,705.50 USD in 1985 and reaching 22,080.90 USD in 2014. 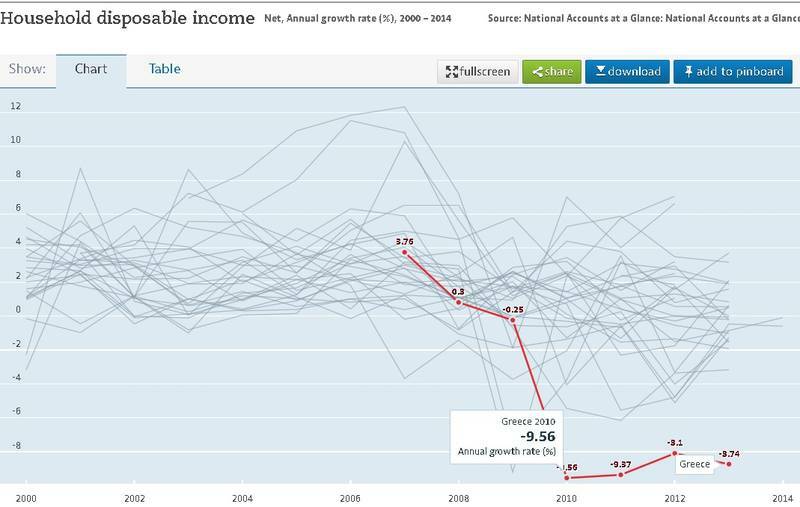 Due to the crisis disposable household income drops by -5.56% in 2011, by -4.8% in 2012, and by -0.6% in 2013, according to Organisation for Economic Co-operation and Development (OECD) data. The Portuguese economy did not go through a considerable recession. The largest shrinkage was in 2012 – by -4.0%. Greece became member of the European Community in 1981. A year earlier the GDP per capita is 5,915.40 USD. In 2014 it is 21,682.60 USD. 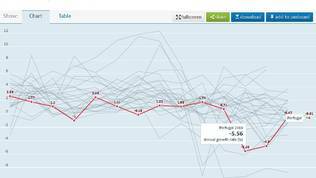 It peaked in 2008 when GDP per capita reaches 31.700.50 USD. It is true that disposable household income drop dramatically from 2010 to 2013 which is the last period OECD has available data for. In 2010 the drop was by -9.56%, 2011 by -9.37%, 2012 by -8.1% and in 2013 by -8.7%. 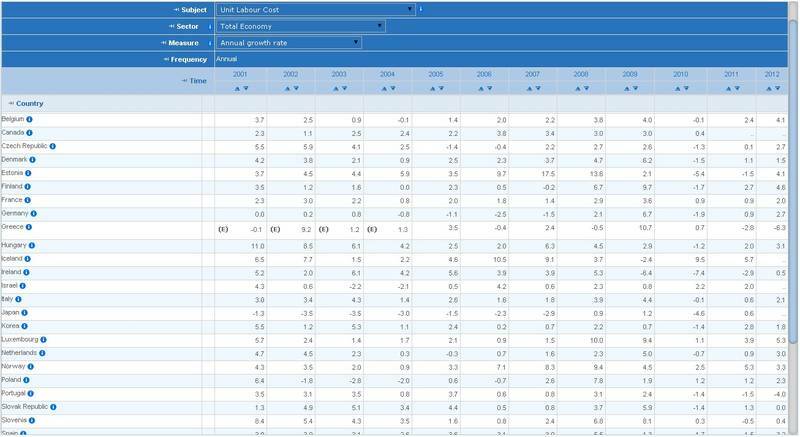 The Greek economy went into recession in 2008, with the largest contraction being in 2011 when GDP shrunk by -8.9%. Latvia went through heavy recessions twice. First case was when it separated from the USSR and lost more than 14% of GDP and for a second time in 2009 when its economy contracted by -14.2%. 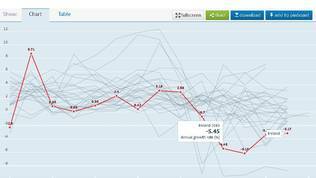 Estonia went through shrinkage of a similar scale, its GDP dropped by -14.70% in 2009. 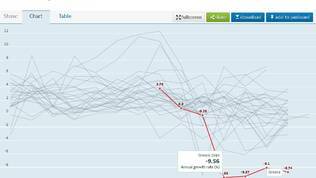 Lithuanian economy went through the same drop that same year – 14.8%. At the moment all of these states are “economic tigers” with Portugal even paying off early part of its loans to the IMF, and the Baltic states managing to exit their respective crises with a very low public debt. Everyone’s recipe was the same – fast and decisive implementation of reforms with the widest possible support sought in society for these reforms – in other political parties, syndicates, and the public. Acting quickly and with no hesitation. Surely, there will be those who would say the Greeks’ suffering is greater, considering the truly depressing data on unemployment, growth of suicide rates, and growing poverty. There is, however, a very important element, showing a painful correction cannot be avoided. We are talking about unit labour costs. This indicator measures the average cost of labour per unit of output, basically wages growth to productivity. In 2001, this ratio jumps in Greece by a whopping 9.2% with continued growth over the next few years until 2006 when it drops by -0.4%. In 2007 wages continue to grow at the expense of productivity and in 2010, in the peak of the Eurozone crisis, cost of labour per unit of output in Greece grows by 10.7%. The largest drop is in 2012 when it shrinks by -6.3%. In comparison the labour costs per unit of output in Germany don’t rise at all, grow at a very slow rate, or even shrink as in 2004 and 2005 when the big reforms are instituted in Germany. They mark a jump in 2009 when labour costs per unit of output grew by 6.7%. In Ireland, where this growth is constant and high, 2009 marks the beginning of a downward movement. At that point this ratio collapses by -6.4%, by -7.4% the next year, and -2.9% in 2011. At the moment these costs are growing again in Ireland, but slower. Portugal did not go through such dramatic drops. The largest decline was in 2012 when labour costs per unit drop by -4.0%. Further back in time Greek national bank data show the price of government bonds starts to rise sharply in 2010, starting from 6.02% in January and reaching 12.01% in December. Around the most unstable time around the negotiating of the Greek debt haircut the 10 year bonds skyrocketed to the unbelievable yield of 21.14% in December. In November of that same year the Prime Minister at the time, Socialist Georgios A. Papandreou, made the first attempt for a referendum on the Troika’s program. The yield of Greek government bonds started to drop in 2013. Even if it does go back to levels around 6% it would be unstable. It is exactly because of such levels that Spain was forced to ask for help from the EU, although with no reforms program. This means that the only source of money for Greece in the coming years is the EU, with or without the IMF. Analysts and politicians are busy discussing a possible waiving of the debt, large portion of which is held by institutions, with the Eurozone having the biggest chunk, and Germany having the largest share in the Eurozone. The data above clearly shows that not a single Eurozone member country, especially the ones that went through heavy corrections and painful drops in the standard of living, will be willing to pay for Greece’s unstable standard of living. Furthermore, debt is not Greece’s biggest problem at the moment. According to the amendment to the agreement with Greece of December 2012, interest on the bilateral loans, extended by Eurozone countries were lowered by 100 basis points. Maturity was extended by 15 years with total maturity of the loans reached 30 years. Greece does not pay interest over the first ten years to the temporary bailout fund of the Eurozone. This, however, is stipulated in the second bailout program that expired on June 30th. This means if a new agreement is to be signed there has to be a new discussion on when Greece is to repay its loans and at what price. Situation at the moment is hardly appropriate for such negotiations as levels of trust towards Greece are exceptionally low. Whatever may be agreed, its conditions are bound to be sterner than what they were. Greece is about to pay through the nose for its play at democracy and sovereignty in a currency union, that is far more integrated than what it used to be five years ago, all thanks to Greece. This makes the price for saving it even higher. It is important to remember that Greece’s main problems are political, not economic. What it needs is a restructuring of mentality and institutions, not of debt. The end of Eurozone flexibility? Thanks to Greece it is highly probable that the flexibility introduced by Jean-Claude Juncker’s Commission with this year’s European Semester will evaporate, due to its highly demoralising effect. Last spring the consecutive gesture of the EC towards France, who delayed reforms for years and constantly evaded Brussels’ sanctions, seriously shook the trust in the largest reform of the economic governance of the EU in the last decade. This latest concession could have been swallowed, though, if the Greek problem hadn’t reached such unprecedented proportions. If Greece is not given a lot of compromise, but stays in the Eurozone, it will become unthinkable to compromise with other countries delaying reforms for political reasons and thus jeopardising the others that share the same currency. So Greece will probably serve as a sort of catharsis for the Eurozone in a moment when overcoming the crisis, though not very convincingly, had started to relax the political will for reforms.